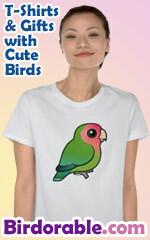 All of our birder apparel and gifts are made-to-order using print-on-demand technology of CafePress. All of our suppliers offer 100% money back guarantee on our high quality products. In case you are not happy with your purchase, you can always return your product for an exchange or refund within 30 days of receipt. See customer service for more information. Here's a cute, spoofy design for cool birders. 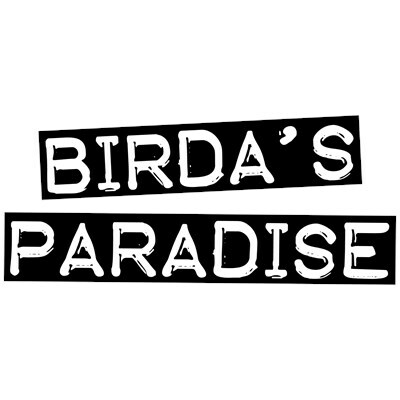 Label tape reads Birda's Paradise. Great, unique gifts here for birders, bird lovers and birdwatchers. No gangsta's allowed. Want to order by phone? This product is provided by CafePress.com. To order by phone, call toll-free at 1-877-809-1659 from Monday - Saturday 9:00am - 9:00pm EST. You'll need to note the Product Number 030-1266328443 to make your order.